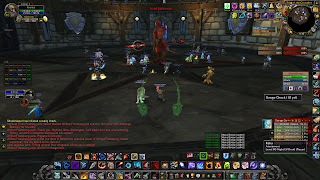 If I had realized what raiding would feel like with a 16:9 23" monitor was like before, I would have never waited around for a good deal on the monitor. It is so much better than the 4:3 19". I didn't realize my old UI made me hold my breath. It is miles and miles better.